The main purpose of health post is to provide basic health services to people who live in rural areas. Generally, one health post covers five VDCs. The chief of the health post is usually ‘health assistant’ or ‘senior auxiliary health worker’. The qualification of health assistant is the certificate in general medicine. The health post provides simple health services such as preventive, promotive and curative services. In Terai, each health post has 7 workers and in mountain and hilly region, each health post has 6 workers. There are 711 health post and 3,176 sub-health posts in each VDC. A primary health centre has comparatively better health facilities than a health post. One ‘medical officer’ heads it with eleven other personnel. There is provision of three beds, one for delivering purpose while the other two are for the general purpose. There are 180 health centres. Emergency services: Emergency services cover sudden illness and accidental cases. These services are available throughout the day and the night (24 hours). Outdoor services: Outdoor services refer to those services where patients check-up their health, and get medicine and counselling from time to time. These patients are not hospitalised. Indoor services: Indoor services are for those patients whose cases are serious, and hence, hospitalised. Generally, hospital is categorised in two ways. One is on the basis of services, other on the basis of region. General hospital: A General hospital has 15-50 beds. This type of hospital, such as the Mahendra Adarsha Chikitsalaya, Bharatpur is established in different districts. Specialised Hospital: This kind of hospital provides specialised health services. It has more than 100 beds. The Maternity Hospital, Kanti Bal Hospital, etc are the examples of it. Special Hospital: This type of hospital provides services on special diseases. Eye Hospital, TB Hospital, Leprosy Hospital, etc. are examples of this kind of hospital. Teaching Hospital: This type of Hospital provides health services and produces medical manpower. Tribhuvan University Teaching Hospital, Nepal Teaching Hospital, K.U. Teaching Hospital (B&B), Jorpati Hospital, Manipal Hospital in Pokhara etc are some examples of it. District Hospital: This kind of hospital is located in different districts of the country. There are 65 hospitals in different districts of the country. The government has made a policy to establish one hospital in each district. A district hospital has 25-50 beds. Zonal Hospital: This kind of hospital is located in different zones of the country. There are nine zonal hospitals in Nepal. The government has made a policy to establish one zonal hospital in each zone. The number of beds in the zonal hospital is 50-150. There are nine hospitals in this category. They are in Mahendranagar, Dhangadhi, Nepalgunj, Butwal, Birgunj, Janakpur, Rajbiraj, Biratnagar and Chandragadhi. Regional Hospital: This kind of hospital is established in different development regions. There are two regional hospitals: one at the western region (Pokhara) and another at the eastern region Dharan (B.P. Koirala Institute of Health Science) in the country and the government is planning to establish one hospital in every development region. In each regional hospital, there are 150-250 beds. Central Hospital: There are also central hospitals, which provide more specialised curative health services. Bir Hospital, Teaching Hospital, Maternity Hospital, Eye Hospital are some examples of central hospital. Besides these hospitals, there are other hospitals such as Nardevi Ayurvedic Hospital, Private Nursing Home, Army Hospital, Police Hospital, etc. 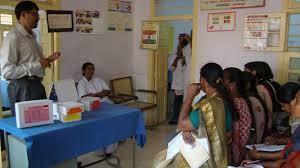 The main purpose of health post is to provide basic health services to people who live in rural areas. There are 711 health post and 3,176 sub-health posts in each VDC. A primary health centre has comparatively better health facilities than a health post. A hospital is considered as a more reliable and well-equipped health service providing organisation. Outdoor services refer to those services where patients check-up their health, and get medicine and counselling from time to time. Generally, hospital is categoriseded in two ways. One is on the basis of services, other on the basis of region. Which is the oldest hospital of Nepal? Bir hospital is the oldest hospital of Nepal. A hospital with 50-150 beds is called zonal hospital. How many beds are there in a district hospital? There are 25-50 beds in a district hospital. Approximately how many children die in Nepal annually due to diarrhea? In Nepal, approximately 45000 children die annually due to diarrhea. Which five year plan of Nepal started including health related programmes? The fifth five year plan of Nepal started including health related programmes. OPD stands for Out Patient Department. What is hospital? Discuss the condition of hospital in Nepal? Hospital is an institution where patients are treated by specialist and registered medical practitioners with modern technologies and medicines. Necessary beds are provided for patients in hospital. Besides checking and medical treatment, preventative, curative promotive and rehabilitation services are also provided in hospital. Hospitals are classified into district hospital, zonal hospital and regional hospital in terms of the numbers of bed, workers and so on. The hospitals having more than 150 beds are called regional hospital. Some of the famous hospital of Nepal are Kanti Children Hospital, Maternity Hospital, Patan Hospital for mental diseases, TU Teaching Hospital etc. Beside the modern technologies of treatment, Ayurvedic hospitals are gaining popularity in Nepal. Naradevi Ayurvedic Hospital and Singh Durbar Vaidhyakhana are among the ayurvedic institutions providing ayurvedic treatment and medical services to the people. Needless to say, hospitals in Nepal have not been fully equipped and public oriented. Many regional hospitals or those inferior once lack skilled health workers, equipment and medicines. Most good hospitals are confined in city areas and charging heavy fees for their services which are not affordable by most of the people of Nepal. Health post and health center. Outpatient department and Inpatient department. 1. Health post are basic health service centers. 1. Health center is a higher level of health service center. 2. Minimum facilities are available here. 2. Better facilities are available here. 3. There is no provision of specialist and bed facility. 3. There is provision of specialists and bed facility. The following are the difference between outpatient department and inpatient department. 1. Patients are checked, medicines are given and necessary counseling is given in outdoor department. 1. Patients are admitted and checked thoroughly in indoor department. 2. Outdoor patients are referred to indoor according to the intensity of diseases. 2. Indoor treatment is a profound treatment. All types of treatment are done here. State difference between primary health center and hospital. 2. 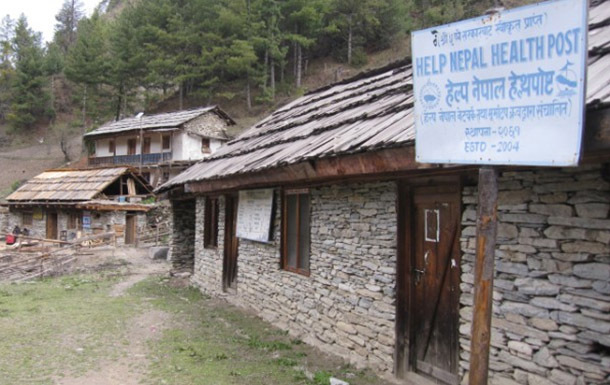 A primary health center is established to provide primary health care, mainly, for local community people. 1. A hospital is established to provide advance health services for people of large area. 3. It is run mostly by people who are not highly skilled and under local participation. 2. It is run by many and highly trained as well as educated manpower under institutional management. 4. Specialist health service is no available there. 3. Wide varieties of specialist health services are available there. 5. There are not advance medical apparatus for medical tests and surgical operations. 4. There are advanced medical apparatus for medical tests and surgical operations. 6. There are not beds for admitting patients. 5. There are several beds for admitted patients. When was Bir Hospital founded? What factor doesn't cause direct degradation in health? What is not a quality of healthy people? How did people stay in good health before 2007 BS when they lacked modern healthcare? What has changed with modern time that is causing serious health problem in people? Why is the available health service not sufficient? There aren't enough hospitals, doctor and medicines in the nation. There is too much pollution causing too much health problem. People choose to go to Dhami/Jhakri instead of doctor. All people migrated to city, thus putting more pressure to health services. THOUGH GOVERNMENT OF NEPAL HAS MADE THE POLICY OF ONE HOSPITAL IN EACH DISTRICT THERE IS ONLY 65 DISTRICT HOSPITAL.WHY? Any Questions on 'Health Services Available in Nepal '?